Lauren Adee, Sr. 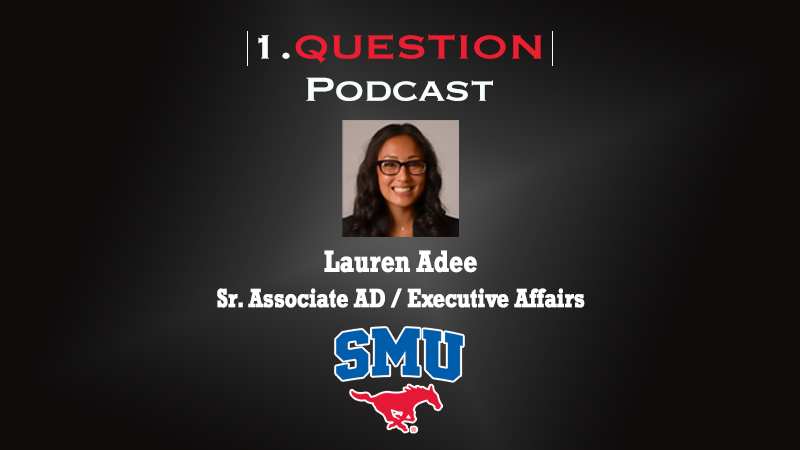 Associate AD for Executive Affairs at SMU, visits the 1.Question Podcast on the topic of leaving a development position to work in strategic planning. Adee spent most of her career fundraising but recently joined the SMU staff in a new role involving strategic planning, internal controls, and more. She discusses the quantitative evaluation approach she was accustomed to while working in development and gives insight on how she will be evaluated now in a position which is more project oriented.